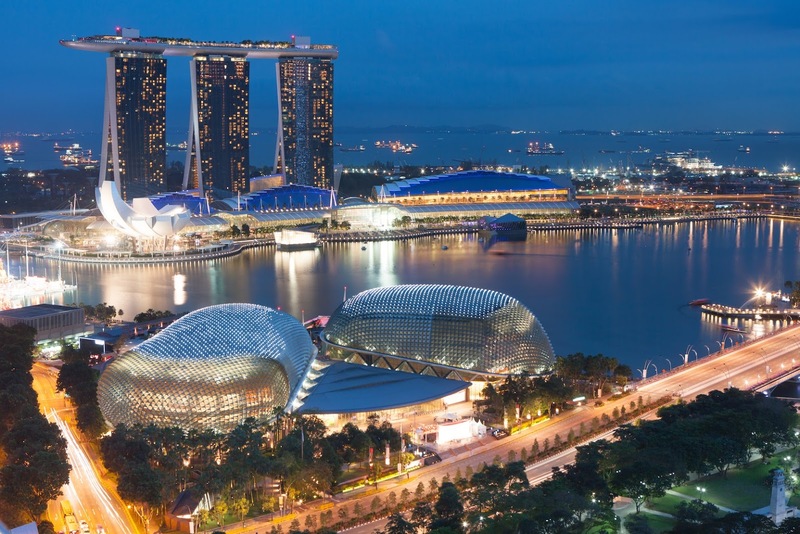 Situated in Southeast Asia, and the world's only island city-state, Singapore is a picturesque, dynamic, and vibrant region to visit. The region has a rich culture and is also a well-known location for tourist activities. Taking a bus to Singapore is the best option if you want to see some of the most amazing sights in the region. It will help you in putting away the stress of monotonous driving and map reading. Budget is perhaps the most important thing to consider before going on a holiday. No one likes spending recklessly on a tour; most of us prefer to comply with a vacation schedule that is affordable yet manages to offer almost everything. Although you might be looking at long hours compared to taking a flight, at least you are not going to break your bank with the amazingly reasonable rate. Besides, some of the service providers offer local Singapore travelling coupons that provide certain special discounts on your trip. Indeed, taking a bus to Singapore is the best way to stay within your budget while you get to enjoy quality and an enjoyable travel experience. Although it seems that flying is the fastest and most convenient way to get from one point to another, it’s not always the case. This is a valid point to a certain extent, depending on the destinations. The total time for you to get from KL to Singapore can add up to more than 4 hours if you are taking a flight. You will need to set aside two hours before your flight, an hour from the city area to the airport and the one-hour flight itself. If you travel by bus, you can just show up at the station literally 15 minutes before departure and most importantly, there is an abundance of such stations all around the city. Almost every tour bus offers an in-house movie theater, comfortable reclining seats and restroom facilities to ensure a smooth and comfortable journey. Furthermore, if you're traveling with a large family or a big group of friends, then hiring these buses will be hassle free. Having the suitcases fail to emerge on the carousel is simply the worst! After shelling out big bucks in checked baggage fees and still unable to have the bag arrive with you can be a major headache. However, taking a bus will be much more secure in ensuring your bag is well intact especially when you are right there when the driver is placing your suitcases in the baggage compartment. Then there is the convenience that a good bus service can provide. For instance, if you ride the bus to and from your different locations instead of driving yourself you can use the extra time to read, further your education, get some extra office work done. Perhaps you could use the time to sketch or do some hand sewing. The ability to have a little extra time to yourself is something that everyone could use. Maybe you could sneak in a little extra nap while someone else does the driving, relaxing instead of having your blood pressure go through the roof with the tensions and headaches associated with traffic. Flying is kinda annoying when you have to plan in advance to secure the cheapest ticket there is, as prices tend to soar the closer you get to your desired departure date. Who really has the luxury to plan ahead with today’s dynamic world? Luckily, buses do not speak in the same tone. Largely because you can get the same deal even if the ticket is one day or two prior to the departure. However, for peak season like Chinese New Year and Hari Raya, you still need to make a booking in advance. When you take on a tour bus, there's no need to open a map and chalk out the entire travel-schedule. The tour-bus company will ensure that you get to visit some of the most attractive places, of course with much comfort and ease. This way, you can easily eliminate 'traveling woes' out of your holiday program. Bumpy rides on road versus a shaky ride on sky? You don’t want the latter for sure. Nothing is remotely as scary as being trapped in a shaking metal above ground, with no knowledge of when it’s going to stop! Bus service is quite an essential means of transport in Singapore and the whole globe due to global warming as well as the state of the economy. It is of vital importance for each one of us to do our part to help in the conservation of the limited natural resources and provide greater levels of protection for the water masses, air, and the dry land. By using a bus travel service in Singapore, people are helping to conserve energy and preserve the resources hence reducing the carbon footprint. There you have it, 9 simple reasons for you to travel by bus to Singapore. The best way to make the most of your journey is to choose the sights you most want to see and plan a basic itinerary.